Dies ist der perfekte Ort für Familien, Freunde und Paare. Sein großes Wohnzimmer und Kamin, macht es zum perfekten gemütlichen Rückzugsort. Wollen Sie ein paar Spiele zu spielen, gehen Sie zu der Höhle und sitzen um den großen handgefertigte Tisch, während Sie einen spektakulären Blick auf die Berge. Darüber hinaus genießen Sie die Wanderwege auf dem Grundstück und großen offenen Rasenplätze, die gut für das Spielen Volleyball, Rasen Boccia, schlechte Handschuh, oder andere Freizeitaktivitäten befinden. Ein Haus das genau in diese Gegend passt. Viel Platz zum Verweilen. Der „Hammer“ ist der Raum mit Grill und super Ausblick. Dazu ein schönes großes Grundstück: country pur. The house is spacious, clean & well appointed. The property is beautiful, secluded, well maintained and set up for family fun. We had plenty of room for my husband & I, my parents & my two teenage sons. The game room was awesome for cards and there is plenty of room to get away from your family if need be lol! The Jewett location is perfectly situated between Windham & Hunter. Make sure you check out the Windham Country Store for breakfast or some pie, you won’t be disappointed : )! We really enjoyed our stay. The grounds were great - a huge garden and total privacy and peace. The house itself had everything we needed, although it was not quite as modern as we had expected and did get quite stuffy without air con, especially in one of the bedrooms. 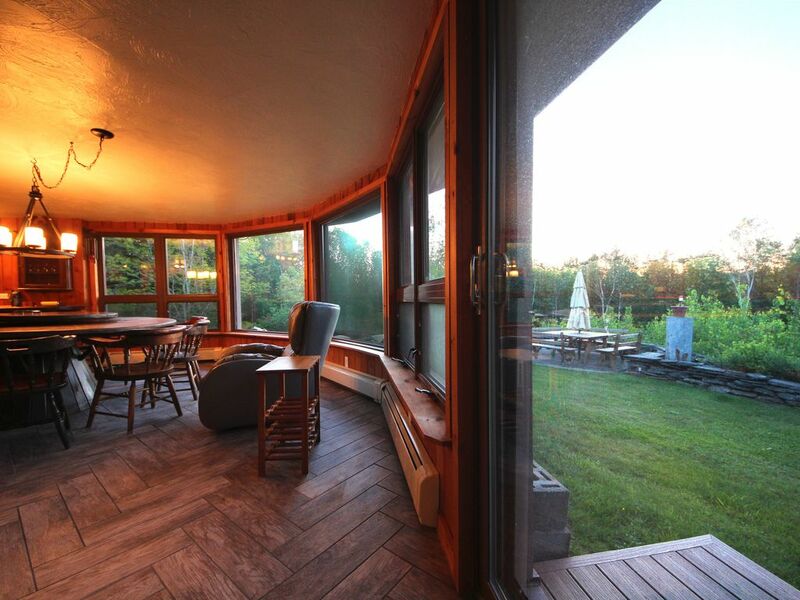 It was well located for a number of great Catskill activities and the newly installed jacuzzi was a welcome feature. Very nice cabin on a very nice piece of land. Nice indoor and outdoor areas. Plenty of space for 8 people. This was our second visit to the house. Such a nice relaxing and private place. we love it and will be back.The owner is cordial and accommodating. Well maintained lovely house. Great location. Close to Hunter Ski and downtown.Very clean. Fantastic mountain views from the porch.Had a great time outdoor and indoor !! Would love to be there again.